Rainbow crystals are scattered throughout the ornate gold pattern for a pop of color. 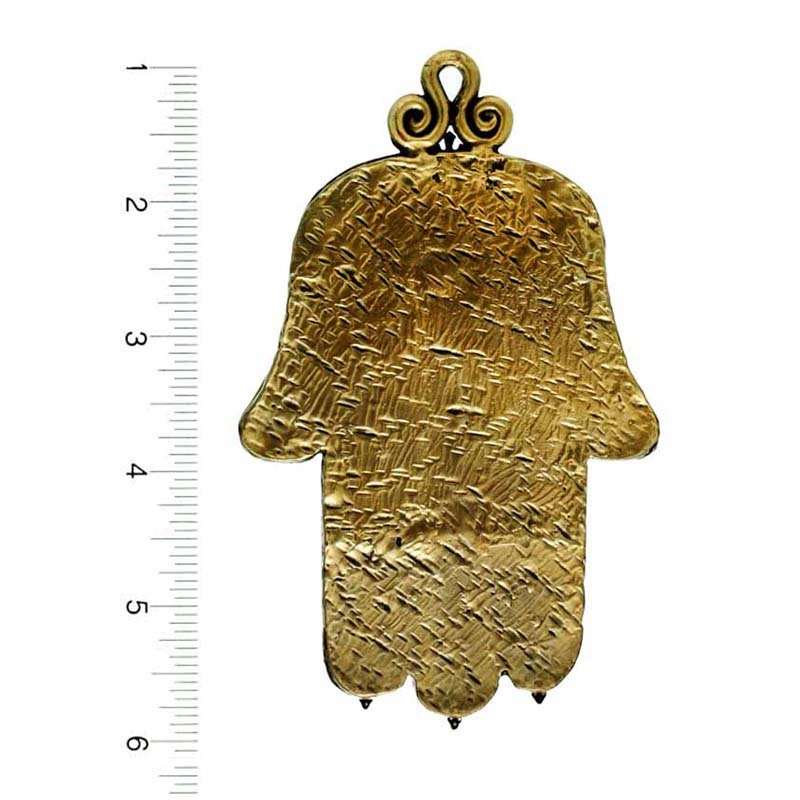 This bold wall hamsa can be hung up in any room and would look stunning against a dark colored wall. 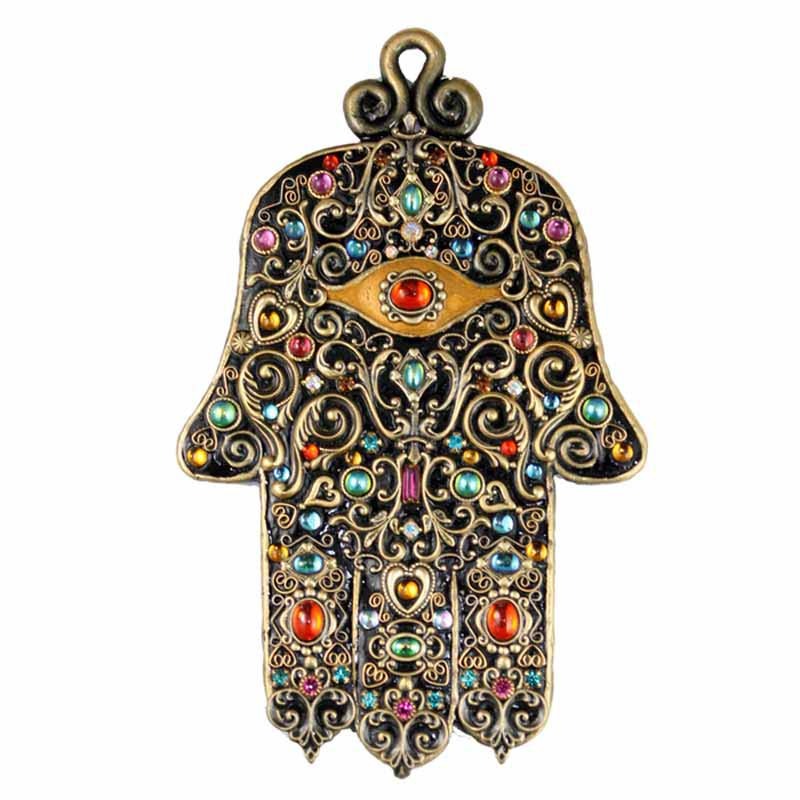 The Hamsa is a symbol of good luck meant to ward of negative energy, this versatile symbol can be displayed and worn by all!